Diana Booty is the office manager at Lemoine Therapy outpatient clinic in Marksville, Louisiana. Her title as an office manager does her no justice; she wears many hats at the facility. 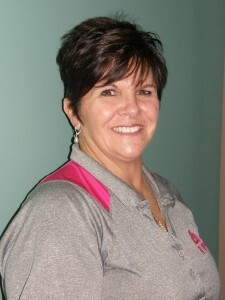 Along with managing the office, she is a Licensed Massage Therapist and handles marketing for Lemoine Therapy as well. Diana has been with the company for almost eleven years now and is described as the glue that holds the clinic together. Lemoine Therapy Services was established in 2005 by Shannon Lemoine, PT, as Therapy Center expanded its outpatient clinic therapy services to the Marksville area. Lemoine Therapy offers comprehensive therapeutic services, provided by exceptional staff who work with each patient to design the best rehab plan to get them back to the activities they love. Lemoine Therapy offers comprehensive physical and occupational therapy services. For more employee spotlights, visit the Team Member News section of the Blog.